IntelliAdmin Remote Control is a program that allows you to easily control computers on your network, remotely. The biggest changes are in the viewer. It has a re-written core and new features along with it. Why the re-write? We needed to move to platform independent code that can be ported to Android, iOS, and OSX. These ports are not ready yet, but we are getting closer and we are working on it. In addition we needed more flexibility to get the file transfers and chat that will be out later this year. IntelliAdmin Remote Control is almost 10 years old. We want to make sure it will serve you well into the next 10 years. Do you have a terminal server with lots of users logged on? In the old viewer it could be difficult when trying to shadow a RDP session. Difficult because you would need to go through the user list one by one to find what you are looking for. 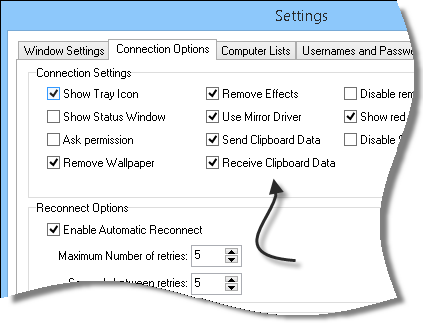 Ctrl-Print Screen – Take a screen shot and save it to a Jpeg file. These are the default. If you want to use a different hotkey combination, you can easily change it in the settings. Ever think the remote view looks too small? You have seen it before – you remote into a computer with 3 monitors and all of them set to 1920×1080. That looks tiny from a remote view. Now you can easily zoom in. You can use hotkeys, or you can use the mouse. Just press Ctrl and move the mouse wheel. This will allow you to zoom in and out. If you click on the view while holding Ctrl you can move it around. Watch mode allows you to observe the remote machine without them knowing. Some of you want to keep this a secret. Others want a clear visual indication that they are in watch mode. One annoying thing that can happen when supporting a remote user is if they have their caps lock on, then everything gets switched around. You get uppercase when it should be lowercase. In this version no matter what caps lock setting the user has picked the viewer will automatically correct and use *your* current setting. 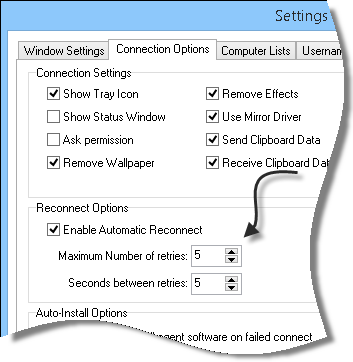 Windows 8 would not recognize certain gestures because of the way we were emulating the mouse. One clear example of this is grabbing from the top of the screen. This all works now with this version of the agent. Since our original release of the agent it has always seen the mouse wheel up and down as a page up and page down. It properly interprets mouse wheel messages now. Another issue fixed is before mouse movements would not target correctly if the remote system had multiple monitors, and had higher DPI settings. A rare case indeed – but when this would happen the mouse would move in the wrong position. This new agent fixes this. We have taken great lengths to improve performance on the agent, and the viewer. We put some serious work into this build to make the view as fast as possible. Send any bug reports to support@intelliadmin.com. Please try your best to tell us on how to reproduce the issue you find. Our top priority is file transfers and chat. During this time we will continue to work on our porting efforts to OSX, iOS, and Android. We don’t have any ETA on those ports, but they are in the works. Also once the beta goes final, the new viewer and agent will be added to the Enterprise edition. Great update Steve. Love the zoom features! You can’t imagine how this saves my eyes. Fantastic. Glad to hear file transfers are in the works. When you say the viewer will be added to the Enterprise version, do you mean that we will be able to use the installed viewer with the enterprise edition, as opposed to the smaller installed version that launches from the web? You can actually do that right now. Just go into settings, and setup your enterprise server there. Both ways are supported by us. Either way is fine. As time goes by we will be working to make the stand alone viewer have more access to the features provided by the enterprise server. What I mean in this article is all the enhancements that you see in the stand alone viewer…will be incorporated into the plugin as well. We provide both because some customers want to use the web to access the system, and others like the speed of the stand alone client.